‘Timing is everything’ according to the latest ad from Grey produced on behalf of the Melbourne International Comedy Festival, being held April 3 to 29. This unique ad features people laughing raucously to a syncopated and precisely timed musical beat. It builds a collage of sound and develops a theme that draws a parallel that, as in comedy, timing is everything and this timing dictates to buy your tickets now. 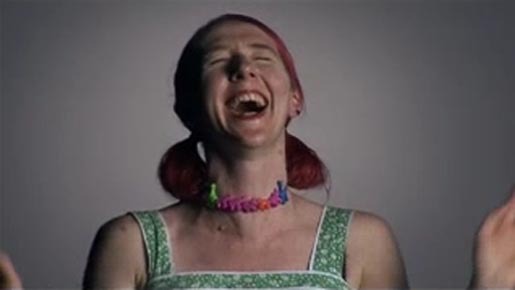 The Laughing Out Loud ad was developed at Grey, Melbourne, Australia by creative director Ant Shannon, art director Connor Beaver, and copywriter Ben Keenan. Filming was directed by Grey creatives Connor Beaver and Ben Keenan, with editor Andrew Cherry. “Laugh your head off even before you get to this year’s Melbourne International Comedy Festival”. The execution of this ad was unusual as traditionally a comedy festival would be promoted using a comedian cracking jokes. This is the first time the ad has been delivered from the perspective of the audience. According to Ant Shannon, Executive Creative Director, “we actually wanted to create an ad that wasn’t deliberately funny, rather we wanted to celebrate the audience and the experience of attending the festival. “Well known DJ, Nick Fayer was commissioned to build a soundtrack out of 50 people laughing. He matched the pictures of the ‘laughers’ to canned laughter to create an amazing beat effect that endeavours to conjure up an unconscious and automatic laughter reflex when viewed on television. “The production process involved in the creation of this ad was unusual and complex but the result will give people a chuckle and hopefully encourage them to attend this year’s Melbourne International Comedy Festival,” Shannon said.